Episode 1 – It is the first documentary film of both authors – Libor Spacek and Petra Dolezalova. Film was awarded at several film festivals in the Czech Republic and abroad. Mark Twain once wrote, that Mauritius was created as a model of Heaven. And that without having any idea of what was hidden in the depths around the island. A couple of adventurers, Petra Dolezalova and Libor Spacek discover surprising similarities between the unexplored underwater world and the life of this exceptionally tolerant nation and the nature. On the background of this technically and physically demanding expedition, the picture unveils the colorfulness of the underwater world, its rules and strange symbioses which take in Petra and Libor themselves during their night dives. The story is woven around the most famous legend of the island, mysterious appearance of a beautiful girl under the sea. Is it just a legend or a fact? In situations of altered mind states which can be induced by diving, one can experience images filling in mosaic of life. Are we here really alone? Into how many worlds do we manage to still a look? 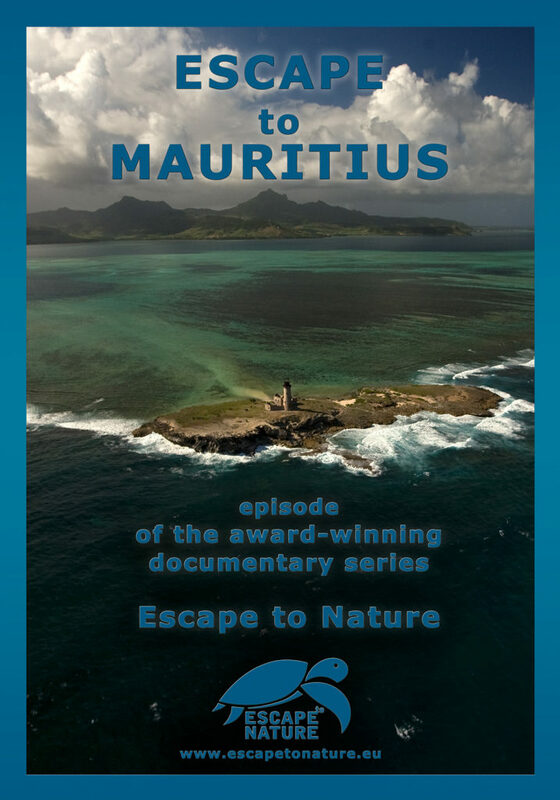 Escape to Mauritius is the first one of series travel documentaries of a long term project Escape to Nature providing film and photographic documents which introduce the most spectacular places on Earth.